Most people dream at least once in a while about leaving the rat race and striking out on their own to make money without having to answer to a boss or stick to a schedule made by someone else. The Internet has opened up a lot of ways for people to try to do that and although it is not easy, more and more people are finding that they can make money online. One of the ways that some people are trying to achieve their Internet business goals is by setting up and managing their own website – or websites – and finding ways to monetize them successfully. These people are known as webmasters (sexist we know, just as many women as men are doing it) and in order to stand a chance of making money you have to learn how to be a good webmaster. Before you so anything else you need to come up with an idea for your website. Most people find that if they base their idea around something they know a lot about and love it makes the whole experience a lot easier. What ideas will and will not take off and capture the public’s attention is very hard to predict – who would have ever thought that a site where all you do is “pin” pictures you find online to a virtual pin board would become a worldwide sensation – but Pinterest did! Every website has to start with a domain name. The domain name should quickly describe what the site is about (Mark Zuckerberg and Co did a great job with “Facebook”) and be as easy to remember as possible. As you come up with ideas though before you get too carried away you need to make sure that the domain is actually available. To find out enter it in a search at a domain registrar site like GoDaddy, you don’t need to buy anything yet but doing so will let you know if the name you want already belongs to someone else. Once you have chosen a domain name it is best to purchase it for at least three years. As you will discover, what search engines “think” about your site is going to be very important and they give more ‘weight’ to sites that are registered for a long time rather than just 12 months. Once you have chosen and registered your new domain name you have to decide how and where you are going to host the site. There are a number of different large web hosting companies you can choose from as well as some that are smaller but offer slightly more personalized support and customer service, something that a new webmaster will probably find very helpful. Many webhosts will require that you pay for at least six months of hosting in advance (although there are a few who let you pay month by month) but you should still be able to find a good package for a very reasonable price. When choosing a webhosting company look at the different packages carefully before you make a decision. How much space are they offering? Can you host just one domain name on the account or a number of them? What kind of content management systems do they offer for you to actually build your website? All of these things are important considerations. Not so long ago building a website called for a lot of specialist coding knowledge and it really was rather hard for first timers. Things have changed now though and content management systems like Joomla and WordPress have made it far easier for people without huge amounts of technical knowledge to create websites by themselves. For those who do not know a content management system is the interface you use to add, remove and change content for your website. Years ago websites were often static things that rarely ever changed but these days such sites would not be successful as in order to be found your site has to be indexed by search engines and show up in relevant searches and the best way to “please” these search engine bots is to add new content often for them to come back and crawl. Many new webmasters these days are turning to the WordPress platform to build their sites. WordPress is a free to use open source platform that really began as a blogging platform but these days people find that they can build entire high quality websites using it while still enjoying the advantage that it is fairly easy to learn and use. As you research website building you will come across a lot of information about search engine optimization. As previously mentioned pleasing the searchbots is important so a certain amount of SEO may be required. However a lot of the information available on the Internet right now is either outdated or just downright wrong. 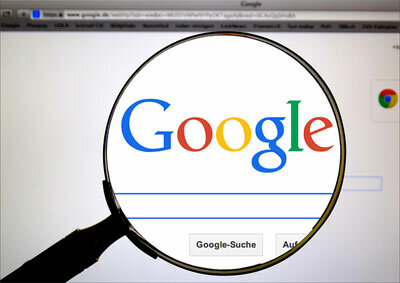 As a new webmaster your best bet is to make sure that the content you add to your website is uniquely your own and then become familiar with the Google Webmaster Guidelines, which really are the best source of information about currently accepted web practices in regards to things like content, site architecture, linking and other factors. If you actually want to make money from your website and you do not actually have a physical product to sell then there are a number of other ways you can monetize your site. The Google AdWords program is a very popular way to make money. The program is free to join and if your site is approved then you will be provided with code to add to your site that will then display relevant ads to your visitors. You are then paid a certain amount (which will vary) every time a visitor clicks on one of these ads. Another way to monetize your website is through affiliate marketing, the practice of advertising specific products and services on your site rather than random ones as is the case with Google AdWords. And if your website does become popular you can then consider selling ad space to advertisers directly, something that is often the most profitable way to make money from a website.